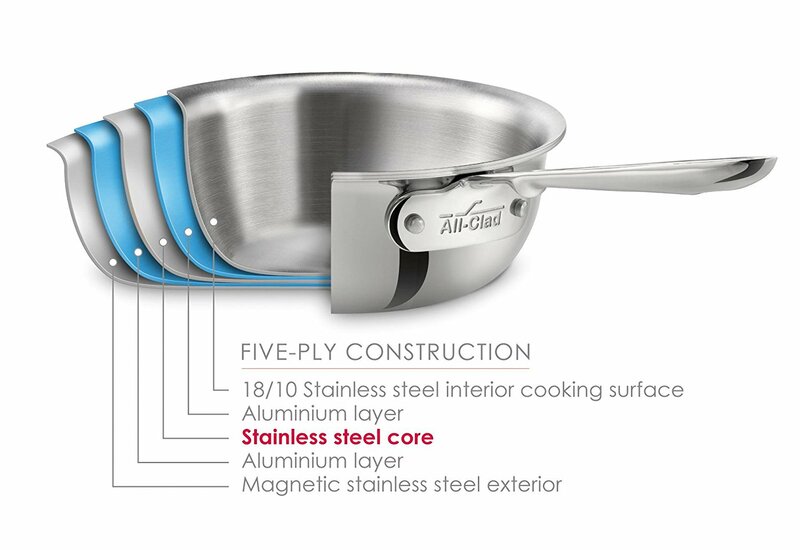 All-clad stainless steel 10-piece cookware set features premium tri-ply construction throughout the pan delivers even heat distribution without hot spots. 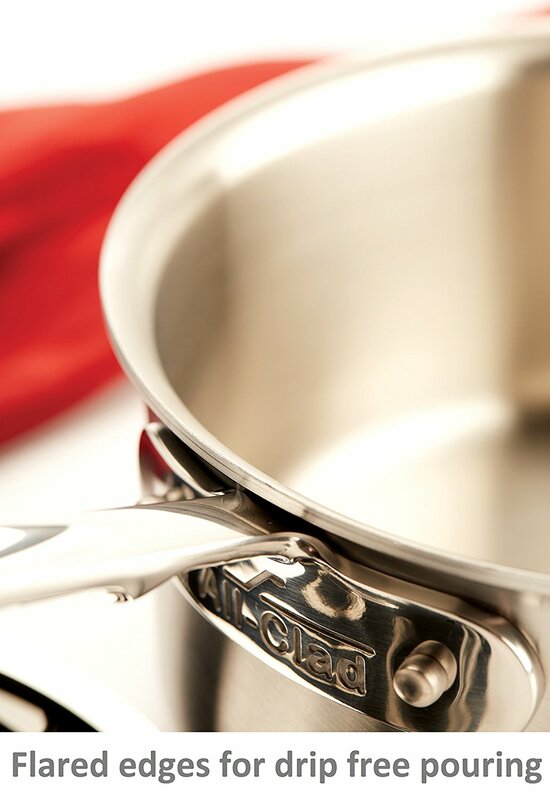 Includes superior stick resistance as a result of starburst finishing on the pan’s stainless steel interior. Stainless steel handles are permanently secured with stainless steel rivets. Set includes: 8-inch and 10-inch fry pans, 2-quart sauce pan with lid; 3-quart sauce pan with lid; 3-quart saute pan with lid and 8-quart stock pot with lid.